There's what might be dubbed a mini-jazz fest in St. Paul's Lowertown this weekend-- warming up the neighborhood for the Twin Cities Jazz Festival, only 4 weeks away! (And with no Saints home game, parking should be "normal".) 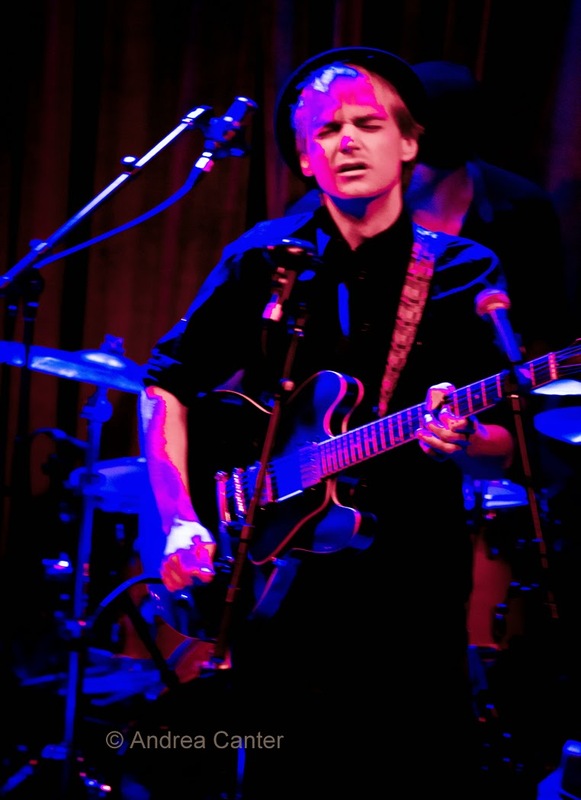 The coming week also brings a parade of stars into the Dakota, offering an alternative to the Rolling Stones on June 3 while putting Stones' "backups" on the jazz club stage. The week also brings the debut release from Dean Granros' new band, Tall Tales and a new voice/guitar duo from veterans Sarah Greer and John Penny. Better tighten your seat belts, this week will be a whirlwind of music. Friday, May 29. Just run up and down a two-block stretch of East 4th Street tonight! 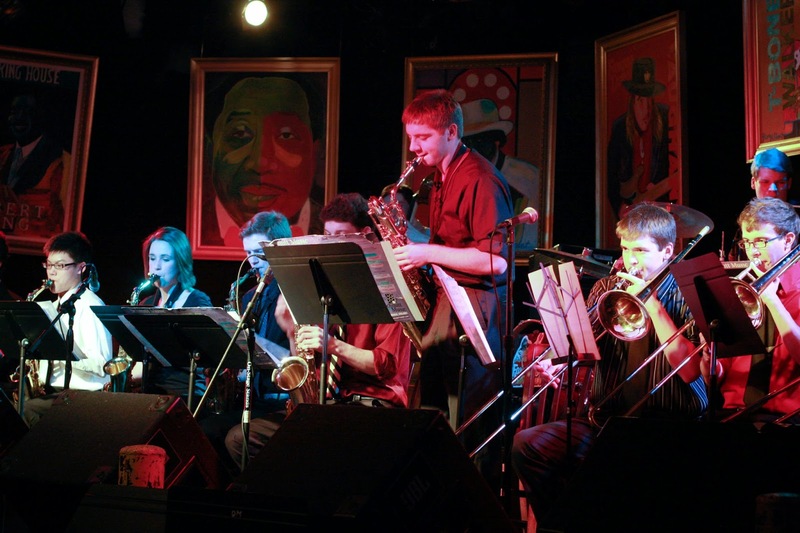 You can support young artists and have a great time doing it at The Bedlam, where rap/hip-hop band Heiruspecs again teams up with St. Paul Central High School in a fundraiser for scholarships to support students heading to higher education and careers in the arts. Joining the music performances will be the Byzantine Sextet, a St. Paul-based jazz band headed by Central alum/Augsburg student DeVante and brother/U of Manitoba student DeCarlo Jackson, with former scholarship recipient and Central alum Edmund Catlin, South High graduating senior Charlie Lincoln, Hill-Murray alum John Blanda and Central alum Evan Slack. On the other side of the river, talents runs equally deep with two bands of veterans two hours and a few miles apart. 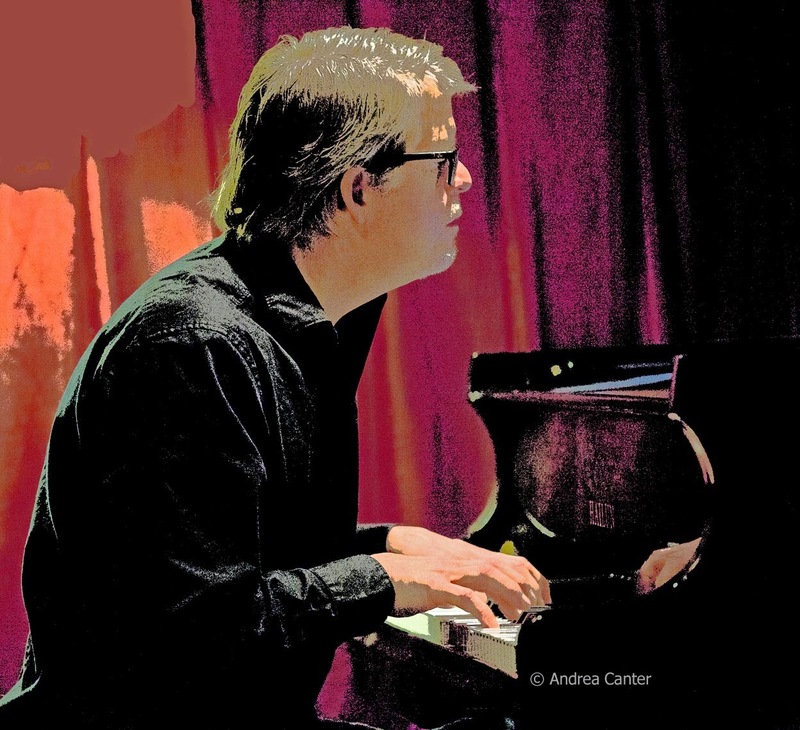 At Jazz Central, Doug Haining revives his Cannonball Collective. 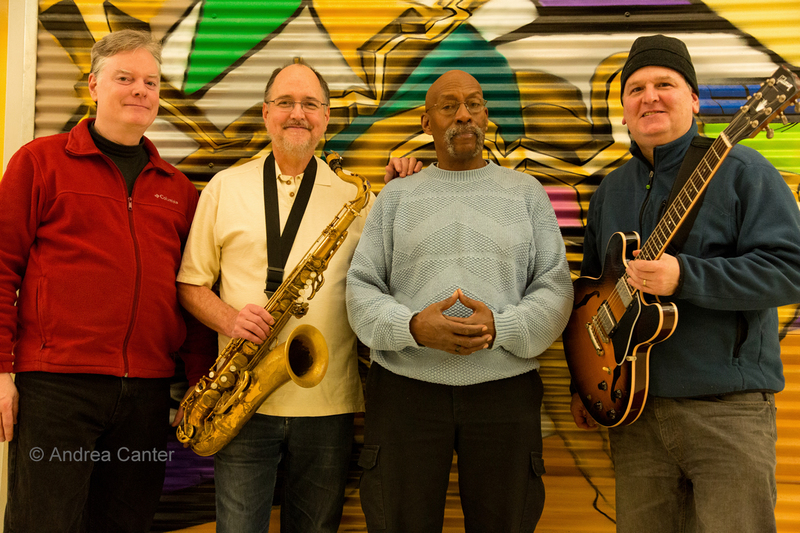 The band first came together a few years ago at the Artists Quarter to celebrate the music of Cannonball Adderley. 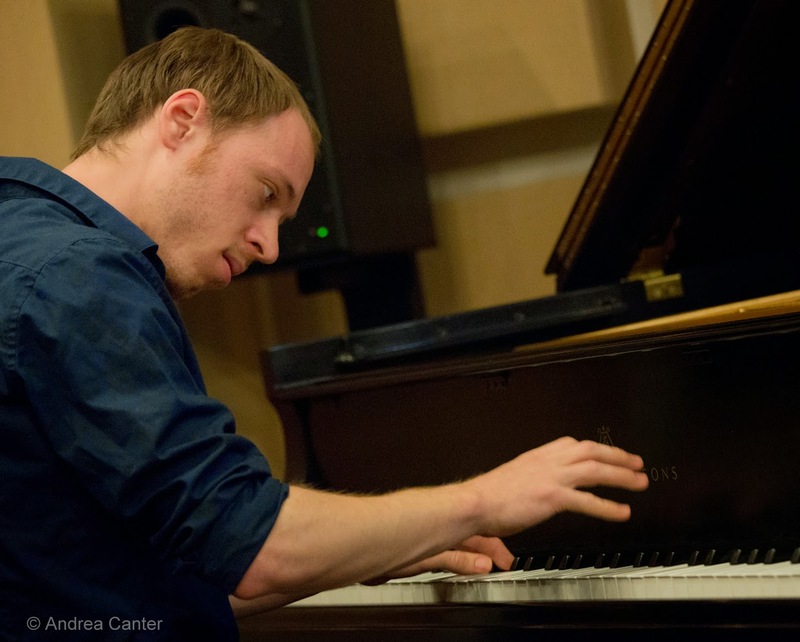 Now performing on the 7 pm Bridge Series, Haining brings back Zack Lozier (trumpet), Keith Boyles (bass) and Mac Santiago (drums), along with young upstart Joe Strachan on piano. On Steve Kenny's Friday Night Jazz at The Nicollet series, Joel Shapira's new Bottomless Pit takes over the bandstand, featuring stalwart jazzers Pete Whitman, Tom Lewis and Eric Kamau Gravatt levitating the works of Coltrane, Coleman, Shorter and more. 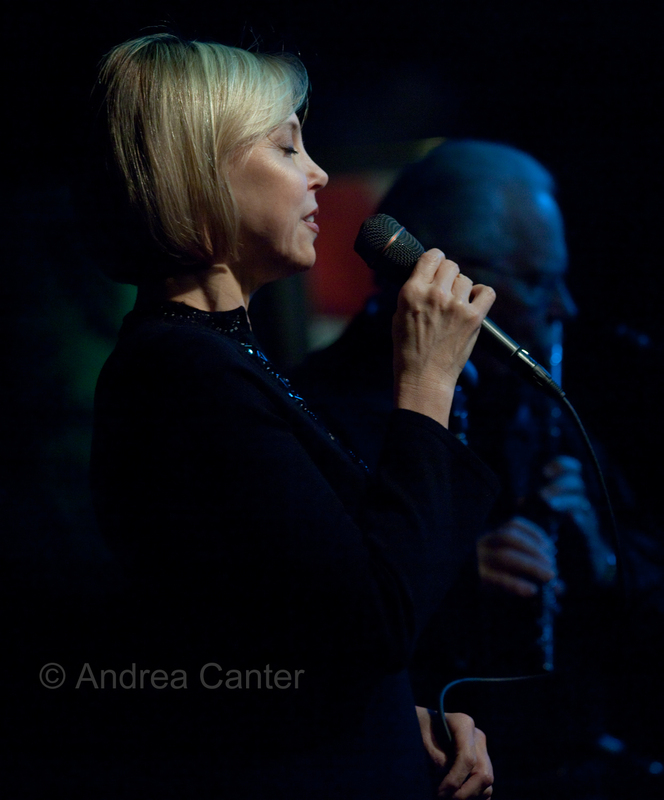 For your vocal pleasures, Connie Evingson (with Rick Carlson, Gordy Johnson and Dave Karr) brings you music from her wide range of influences and projects, from standards to The Beatles to hot club swing to Dave Frishberg, in the cozy lounge of Parma 8200 in Bloomington. Wine, pasta, cannoli, Connie. Perfect ingredients for Friday night chill-out. Saturday, May 30. 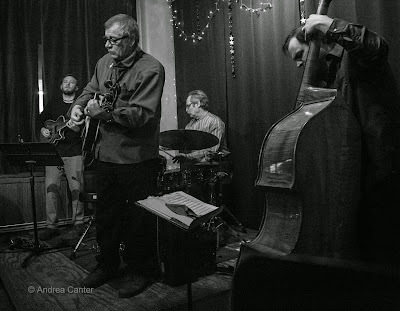 Just announced as 2015 recipients of a $25,000 McKnight Musicians Fellowship, the Atlantis Quartet (Zacc Harris, Brandon Wozniak, Chris Bates, Pete Hennig) will be flying higher than ever when they play the headline slot at the Black Dog. They're also warming up for two back-to-back festival gigs, June 27 at the Twin Cities Jazz Festival and July 4 at the Iowa City Jazz Festival. 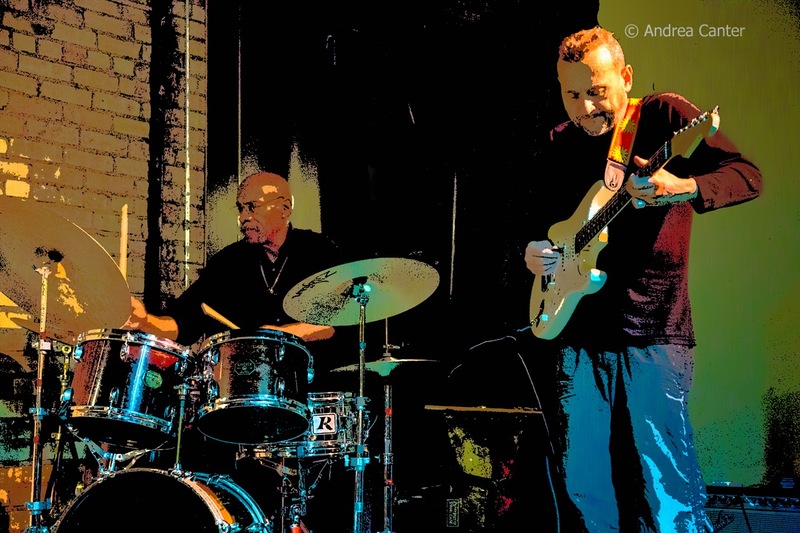 Starting out the evening is another veteran ensemble headed by guitar monster David Martin, with pals Chris Bates and Pete Hennig warming up for their set with Atlantis. At Pama 8200, the Benny Weinbeck Trio has been providing elegant piano trio jazz for the past few years, every Saturday night in the bar/lounge. 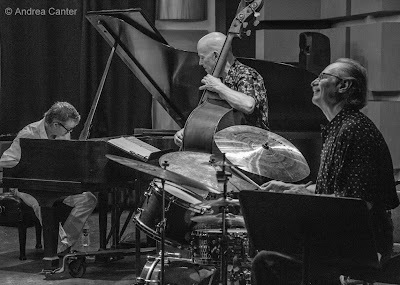 Pianist Benny's long-standing trio cohorts, Gordy Johnson and Phil Hey, have their own longstanding partnership, including a couple years backing vocalist Stacy Kent. Communication is seamless and that's reflected in the music. Sunday, May 31. Where will the next young hotshots in local (or perhaps national) jazz come from? 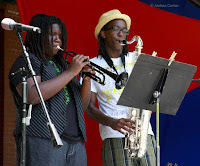 Walker West Music Academy invites us to find out at their annual Rev. 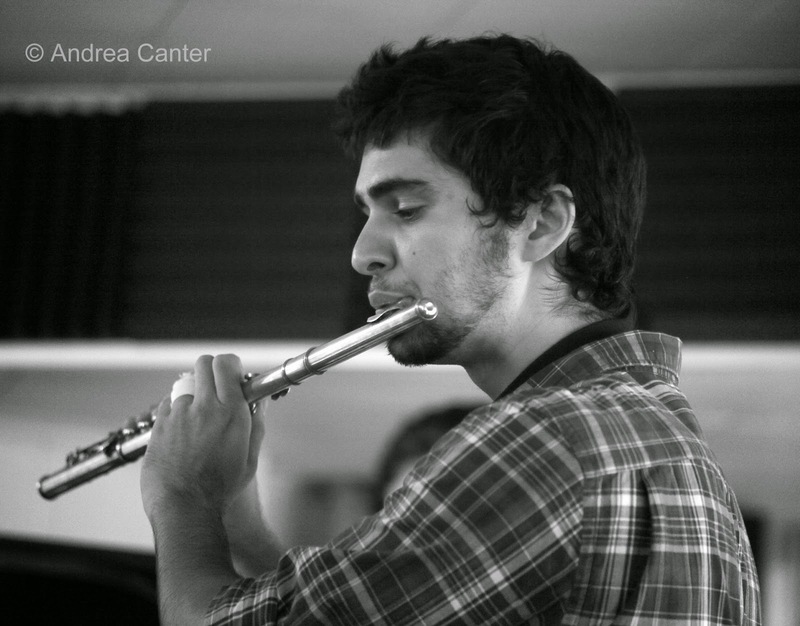 Carl Walker/Grant West Honors Recital in their new performance space (4 pm). 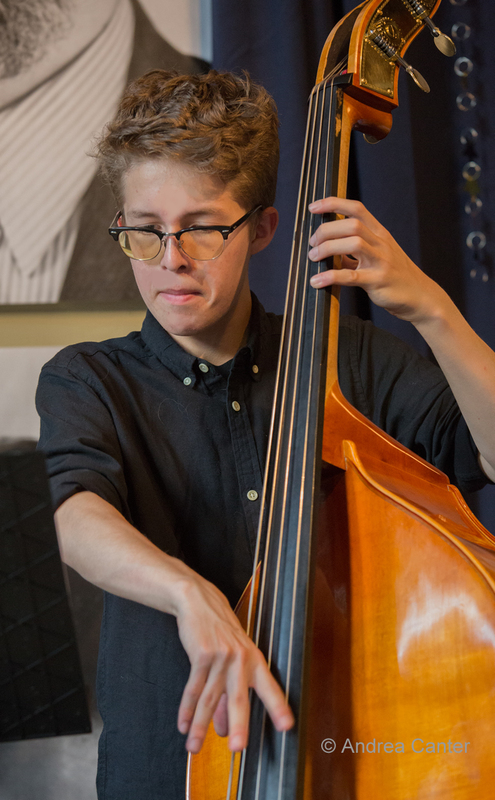 Performances feature Walker West's graduating high school seniors and other up-and-coming talents of the Academy. 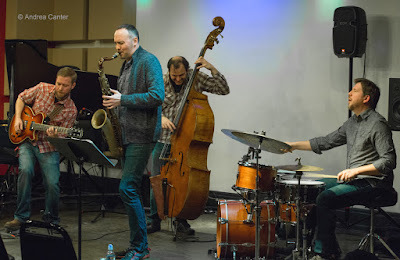 WWMA has long served as a breeding ground for future pro musicians and educators, especially those who ultimately pursue careers in jazz, and their faculty sports some of the area's top jazz artists, including Peter Leggett, Solomon and Aja Parham, Kevin Washington and more. The Aster Cafe at St. Anthony Main offers a unique and historic setting for music (and food!). 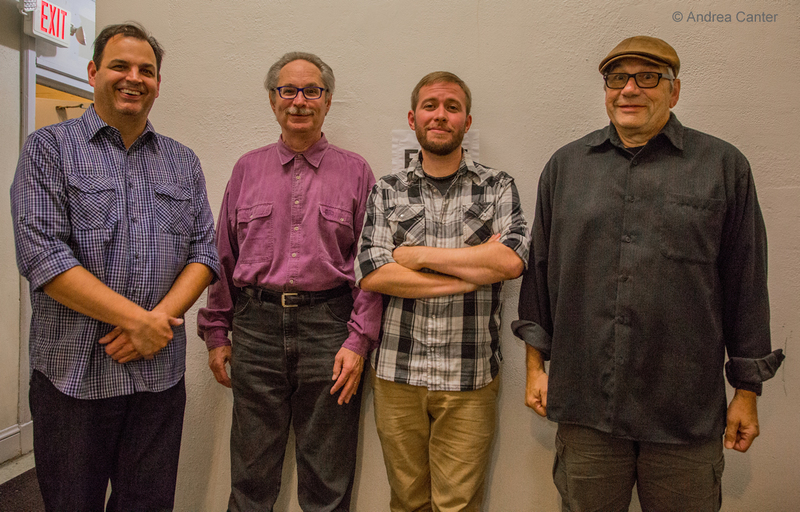 Tonight, hear the Orchestra for Ants, which suggests busy electronics but is self-described as 'outlaw-jazzmenco.' 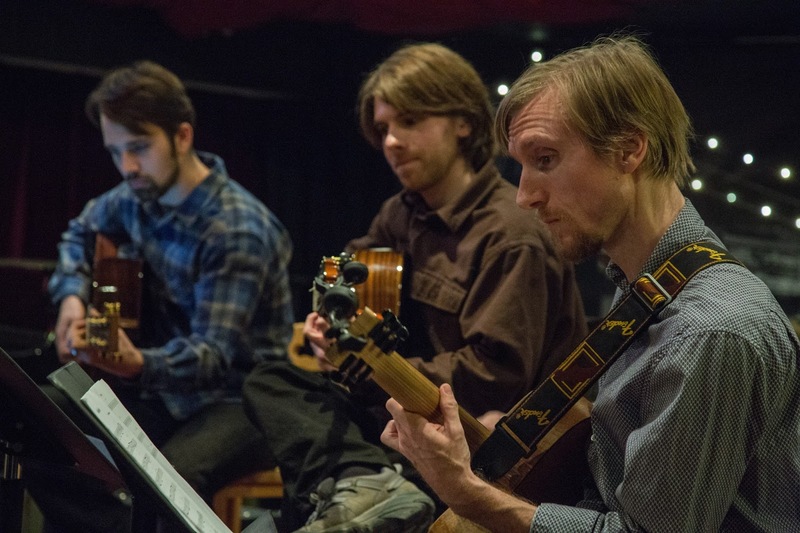 The Ants are three accomplished guitarists with diverse music backgrounds and chops---leader Ben Abrahamson (Lulu's Playground) who gravitates toward flamenco, Brazilian and 12-string; Park Evans (Firebell), master of "jazz shred comedy," and Nick Champeau, "cowboy casual." 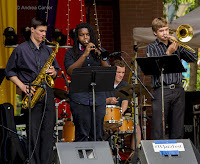 It's jazz, flamenco, swing and more. Definitely fun and surely musical. 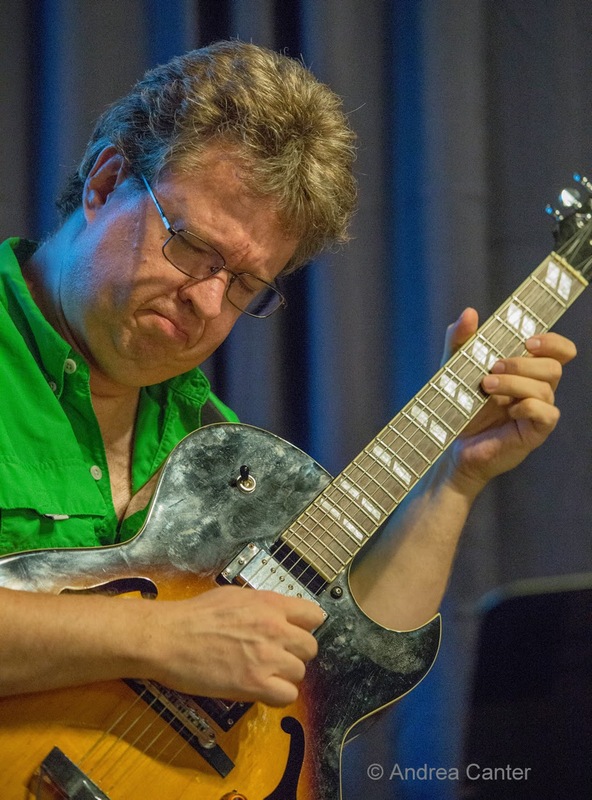 The outdoor band concert season is underway at the Lake Harriet bandshell, and tonight features the popular Brazilian jazz ensemble, Ticket to Brasil, headed by guitarist Pavel Jany. Lake Harriet leaves room for dancing, which will be encouraged. Monday, June 1. 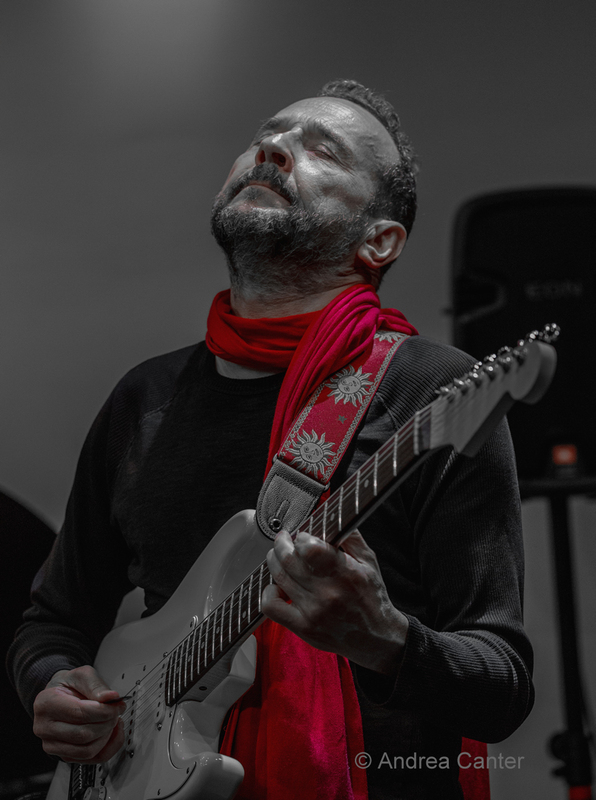 For all of his 40+ years in local jazz and improvised music with such landmark bands as The Whole Earth Rainbow Band, Kamanari, Curlew and How Birds Work, guitar master Dean Granros has a relatively small discography in his own name and no recordings that feature his gnarly compositions. With his new quartet and self-titled CD (Tall Tales), Dean corrects that omission, and does so convincingly. Join Dean, Zacc Harris, Chris Bates and Jay Epstein tonight at the Icehouse as they celebrate the CD's release on Shifting Paradigm Records. You get a copy of the CD with your $12 admission. It's definitely worth minor parking hassles for the CD alone. 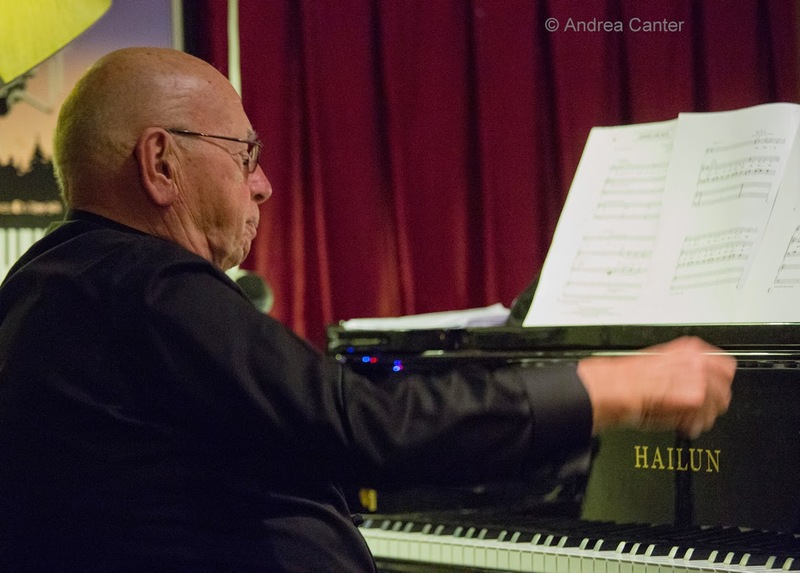 Earlier in the evening (e.g., you can make this gig and get to the Icehouse before Tall Tales gets underway), the spotlight is turned on pianist Peter Schimke at Jazz Central. 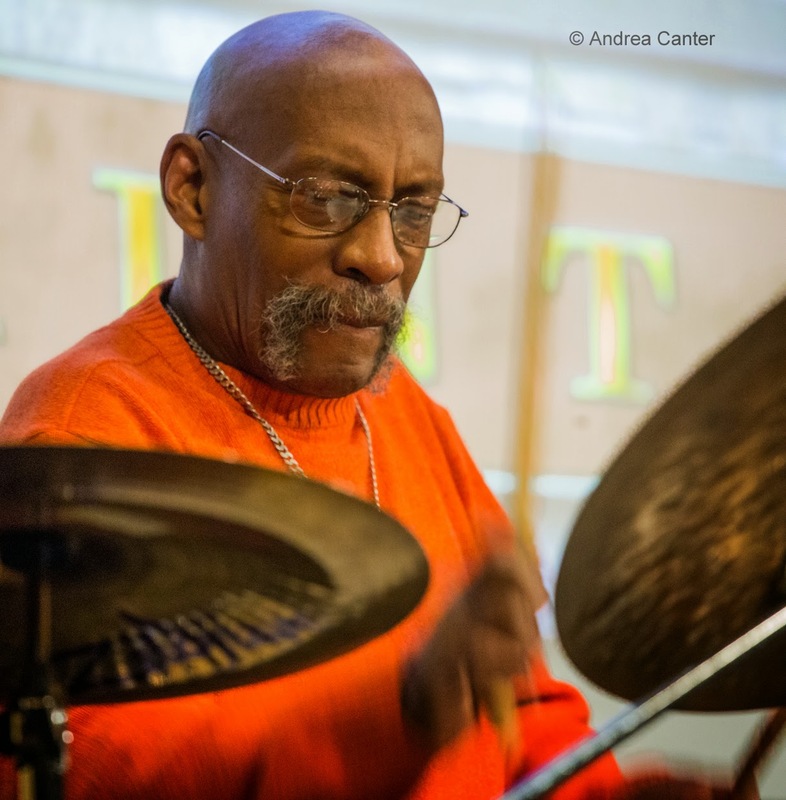 An integral part of many ensembles (How Birds Work, Mississippi, Estaire Godinez, Irv Williams), Peter seldom gets the recognition his talent deserves. Tuesday, June 2. It's the "first Tuesday" which means Dean Magraw and Davu Seru at the Black Dog. 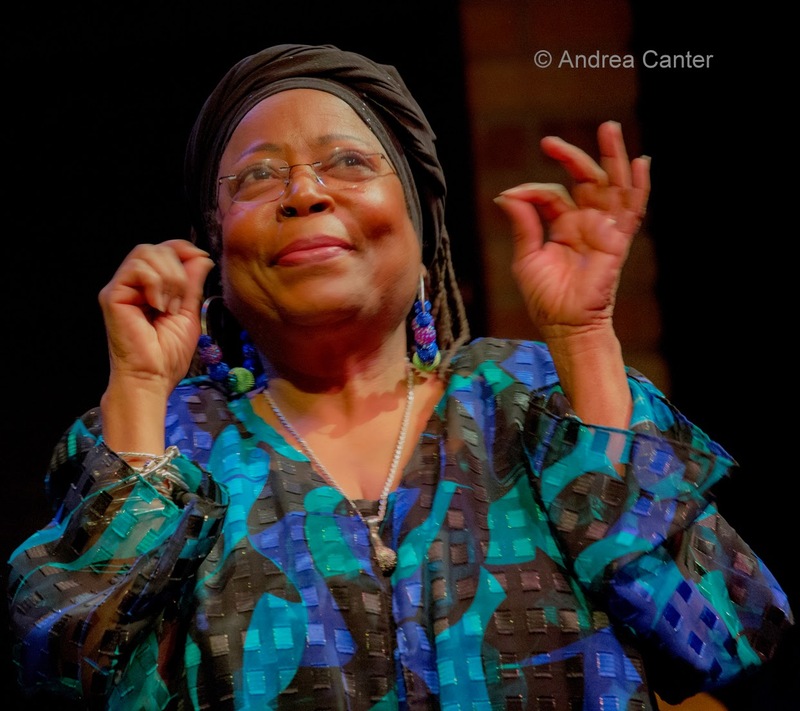 Often there's a guest artist as well, but the duo alone is indendiary-- Magraw the master of all genres on guitar, Seru both performer and scholar of African percussion. The Rolling Stones roll into town for a blowout tomorrow night at TCF Bank Stadium, and in their wake the Dakota has booked two nights with "20 Steps to Stardom" star vocalist/Stones back-up singer Lisa Fischer (Sunday-Monday) and one gig--tonight-- with Stones' (and former Allman Brothers Band) saxman Tim Ries and Stones vocalist Bernard Fowler in a band dubbed Band 2. Rounding out the band will be local heavyweights Cory Wong, Gary Raynor and Kevin Washington. Wednesday, June 3. 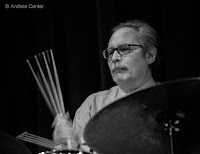 If you are not headed to TCF Bank Stadium to hear the Stones tonight, you can nevertheless get high on music and particularly jazz percussion at the Dakota with Steve Smith and Vital Information, NYC Edition. 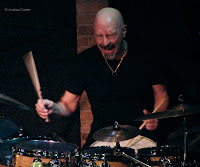 Recently named #1 fusion drummer by Modern Drummer's Readers Poll, Smith has assembled a Big Apple cast including keyboardist Mark Soskin (Sonny Rollins/Herbie Mann), alto saxophonist Andy Fusco (Buddy Rich/Mel Lewis), guitarist Vinny Valentino (Jimmy McGriff/Bill Evans), and bassist Baron Browne (Jean-Luc Ponty/Billy Cobham). 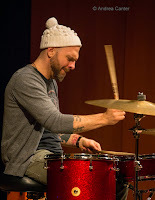 With this line-up, Smith combines the talents of his three working bands--jazz-rock ensemble Vital Information, his Buddy Rich alumni project Buddy's Buddies, and his legends tribute band, Jazz Legacy. 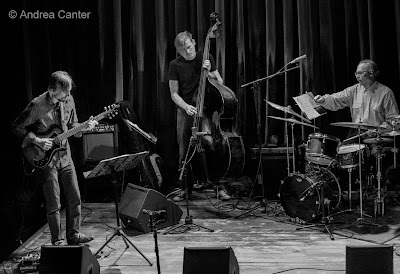 At Jazz Central, two veterans of the local jazz scene debut their duo on the studio's "new music" night. 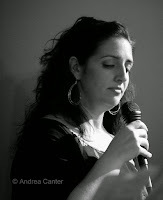 Vocalist Sarah M. Greer is known for tackling more avant garde projects as well as providing instruction to those interested in modern approaches to jazz singing; guitarist/composer (and sometimes vocalist) John Penny is a prolific writer who has performed recently with Jay Epstein and Anthony Cox. 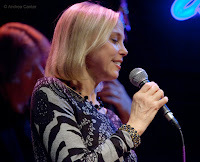 Connie Evingson again! 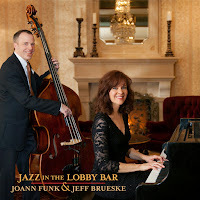 First Wednesdays are reserved for "Jazz in the Lounge" at the Minneapolis Woman's Club, and Connie's guests tonight include a formidable trio of Chris Lomheim, Dean Magraw and Dave Karr. Open to public consumption. Thursday, June 4. 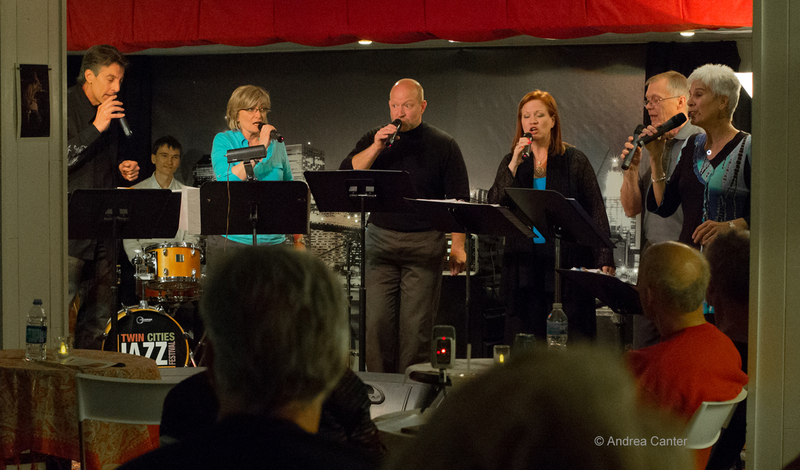 At Jazz Central, the Phil Mattson Singers return for Vocal Jazz Night, bringing with them a thick book of songs with sophisticated arrangements from director, pianist and voice coach Phil Mattson. 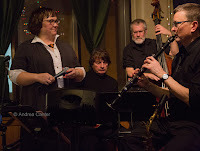 This is our local version of Manhattan Transfer. 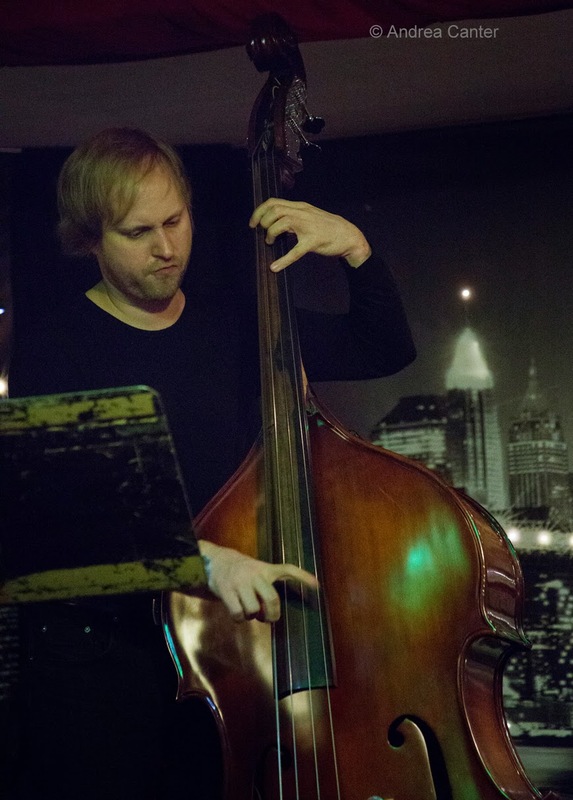 Over in Falcon Heights (St Paul), new University of Northern Colorado grad, bassist Ted Olsen, brings his quintet to the folksy digs of the Underground Music Cafe. Seems we were just shivering and complaining about our cool spring, and here it is, Memorial Day Weekend and (finally) some warm sunshine. 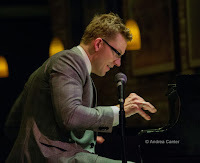 New challenges await, of course, like getting the garden planted, summer vacation reservations confirmed, and-- figuring out how to contend with parking and crowds as the Saints new ballpark opens in Lowertown -- scene of some of the area's most inventive jazz in recent months. This weekend will be the first big test of "baseball meets improvised music", with a Saints home game getting underway Saturday at the same time as gigs at the Black Dog and Studio Z; a new, late night improvised music series at Public Kitchen on Friday might actually benefit as an after-game destination--for those already in the area. Plan accordingly! Friday, May 22. 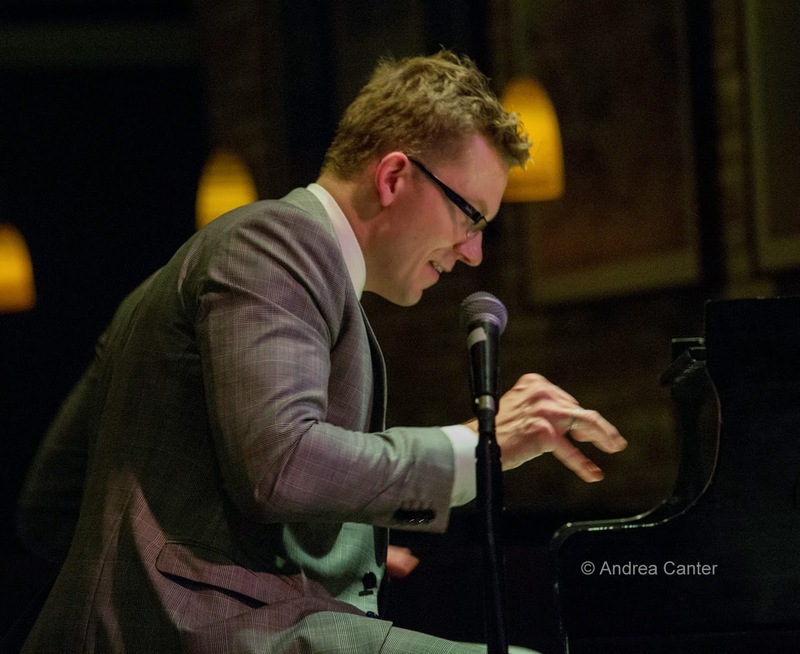 At The Nicollet, the Chris Lomheim Trio debuts on the Friday Night Jazz series. 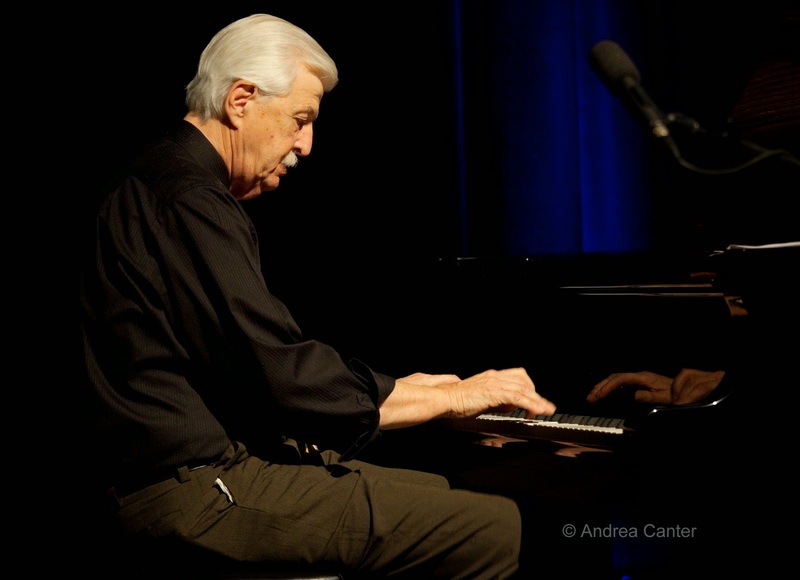 Any fan of piano jazz should be familiar with the elegant Mr. Lomheim, whose Evanescent touch graces whatever he's playing, be it original compositions from his recent Timelines recording or standards from bebop and beyond. 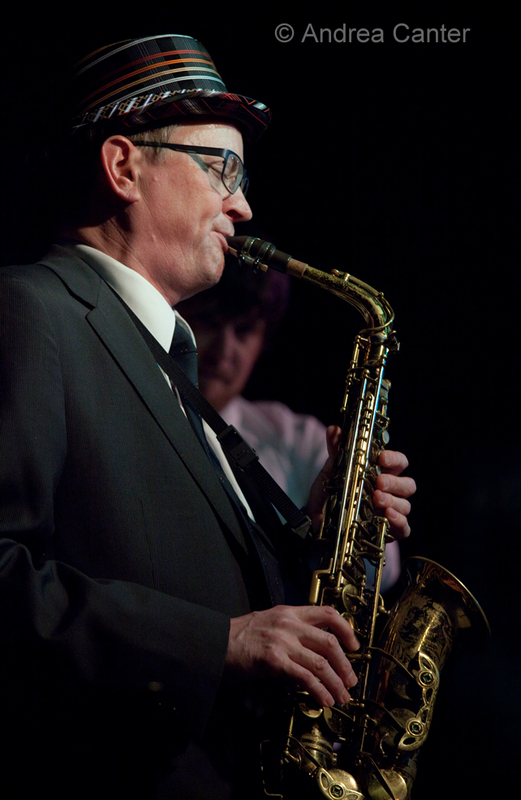 With Gordy Johnson and bass and Reid Kennedy on drums, Chris promises an evening of joyful jazz. 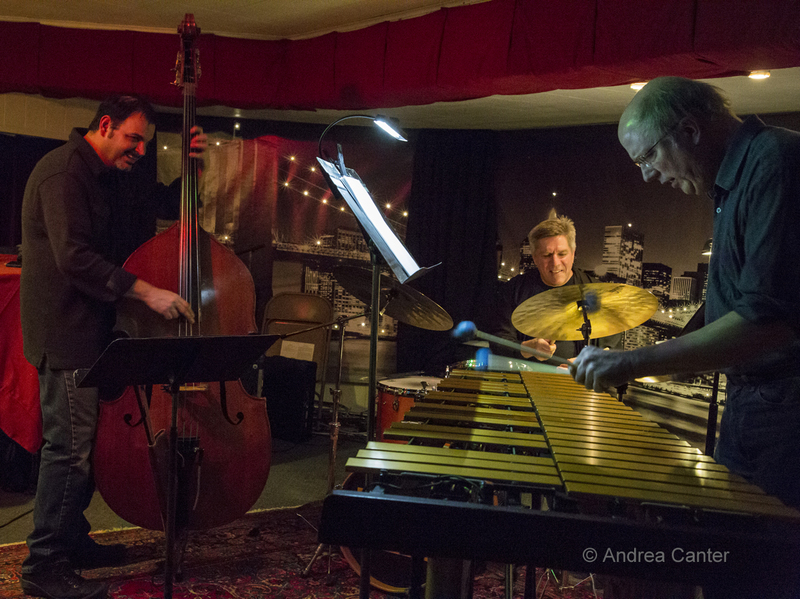 Piano trio jazz is also on the menu at Parma 8200, where the Travis Anderson Trio (Steve Pikal, Nathan Norman) swings through a rare instrumental Friday night. And I mean swing. Following at 9:30, Jazz Central hosts a fundraising concert to support communities damaged by earthquakes in Nepal. Music will be provided by an explosive young trio featuring Javi Santiago on piano, Miguel Hurtado on drums, and visiting Milwaukee-born saxophonist Pawan Benjamin. 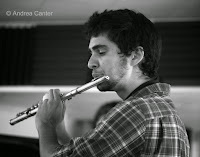 Pawan first met Javi and Miguel in New York where he can Miguel were classmates at the Manhattan School of Music; this is not Pawan's first visit to Jazz Central, where he hopes to raise funds to help his family's village, among others. 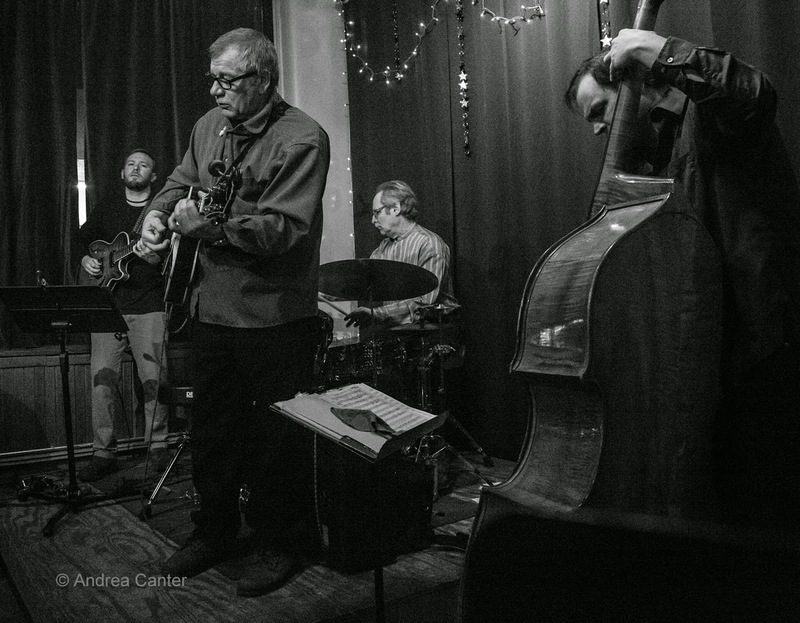 A new addition to music in Lowertown is Public Kitchen & Bar, just off Mears Park and offering a 10 pm show of improvised music on Fridays in the lower level lounge. Tonight, Gastonguay (Kevin) + Markworth (Kameron) + Schmidt (Zach) ), a new piano/bass/drum trio, do the honors. Saturday, May 23. Lowertown jazz and improvised music will test the impact of baseball tonight. At the Black Dog--which could be jammed earlier with pre-game traffic, the Saturday Night Jazz series continues with the usual double-header: Opening will be the cross-generation antics of Central Standard Time, featuring teen bass master Charlie Lincoln with Steve Kenny, Sten Johnson, Dave Roos and Dennis Glaus. 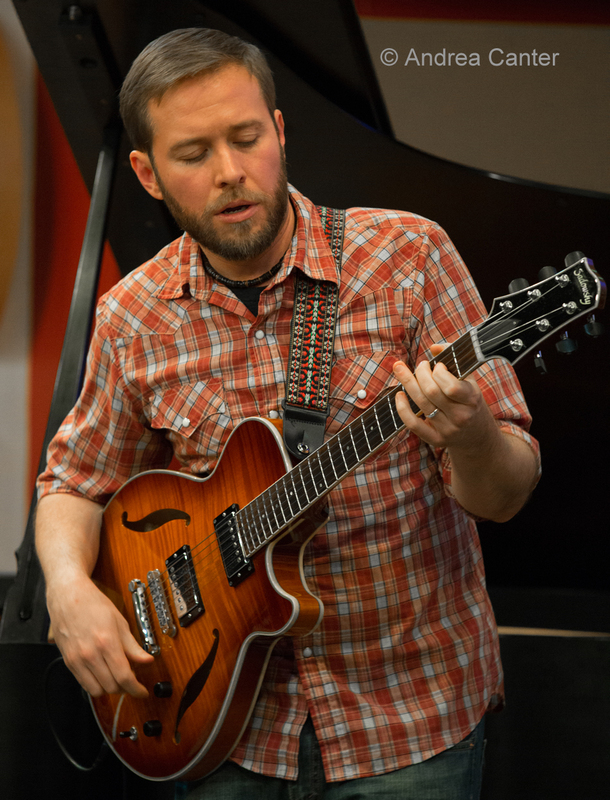 At 8:30, catch a couple sets with Firebell-- a veteran guitar trio with Park Evans, Graydon Peterson and Jay Epstein. Expect a lot of original material from their new CD, Impossible Vacation. At Studio Z, the Twin Cities epicenter for new music, it's a rare double piano trio configuration with Chris Granias and Carei Thomas on the grands. Billed as "new improvisations for two pianos and assorted instruments," there is no one better to handle "assorted instruments" than Douglas Ewart, playing multiple reeds and percussion, including is home-made instruments. 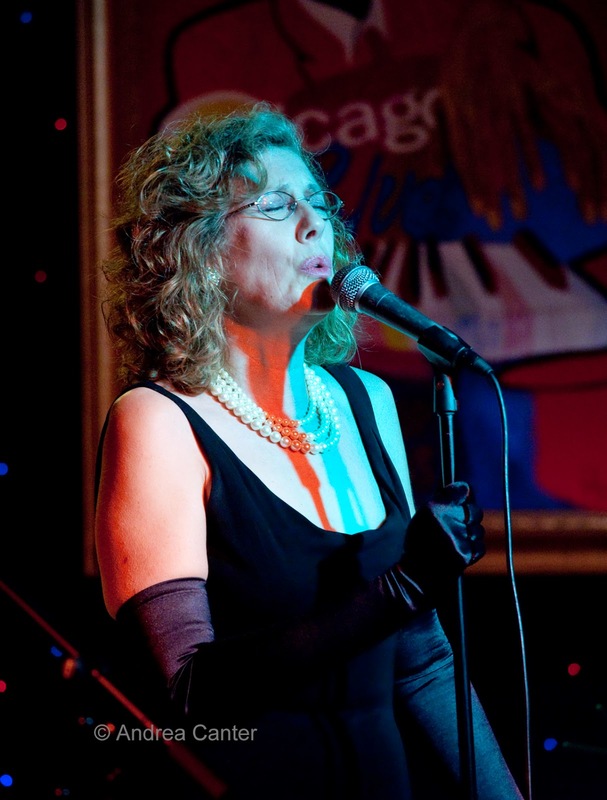 You can avoid parking dilemmas and head for the Aster at St. Anthony Main where songbird Connie Evingson will swing for the rafters with Patty and the Buttons. 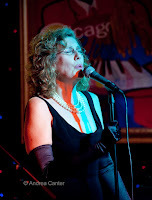 Notes Connie, "I always have a great time singing with Patty & the Buttons, and the bohemian vibe of the Aster Cafe makes it especially fun!" Patty (aka Patrick Harison) and his "buttons" (accordion)--with Tony Balluff, Mark Kreitzer and Keith Boyles -- swing and sway in a mix of New Orleans, hot club, and 1920s beats. Sunday, May 24. Back one more time by popular demand-- Ginger Commodore and Julius Collins reprise "A Night of Wonder", their tribute to the great Stevie Wonder, at the Dakota. These two amazing vocalists are joined by Donnie La Marca (keys), Art Haynes (bass), Troy Norton (guitar), Bobby Commodore (drums), Daryl Boudreaux (percussion), and Ashley Commodore, Geoff & Chreese Jones (vocals). Monday, May 25. End your holiday weekend with some virtuosic guitar from David Martin, in the spotlight at Jazz Central. 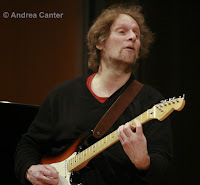 He's joined by bassist Jim Chenoweth and drummer Joel Arpin. Tuesday, May 26. Guitarist/composer David Torn returns to the Twin Cities for a solo show at The Cedar. 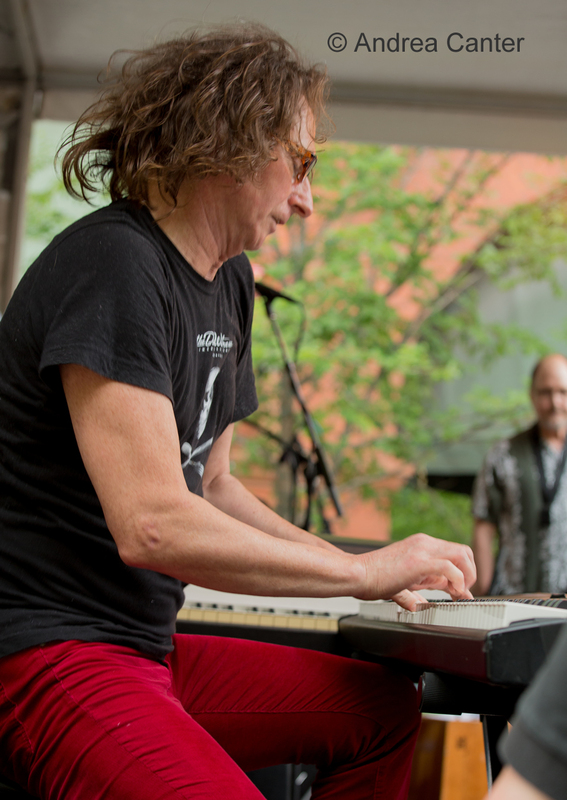 Known for his melding of acoustic and electronic elements and particularly his use of loops, Torn was here at the Walker back in 2007 with his Presenz ensemble. Now he's touring in support of his new solo effort on ECM, Only Sky. Larry McDonough and friends reprise their Chet Baker tribute, first heard at Jazz Central last winter and now an encore at the Dakota. McDonough handles the singing Chet (as well as piano), while Steve Kenny takes on the trumpet role, with superb backing from Paul Peterson on saxes, Greg Stinson on Bass, Dean White on drums, and former WCCO anchor Don Shelby reading poetry about Baker and Bill Evans, written by regular McDonough cohort and saxophonist, Richard Terrill. Wednesday-Thursday, May 27-28. 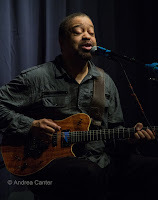 “The songwriter translates emotion into words. The singer's job is to translate the words back into emotion." 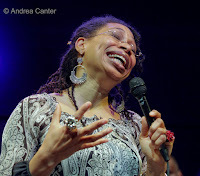 So said vocalist Rachelle Ferrell, and she lives these words whenever she's on stage. 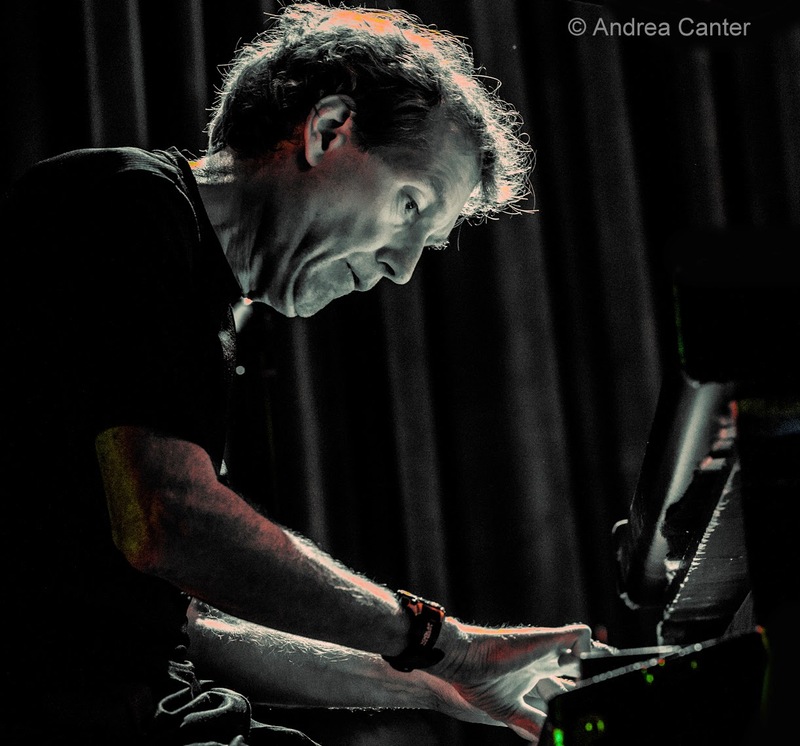 Returning to the Dakota for two nights, Ferrell is a singular force. 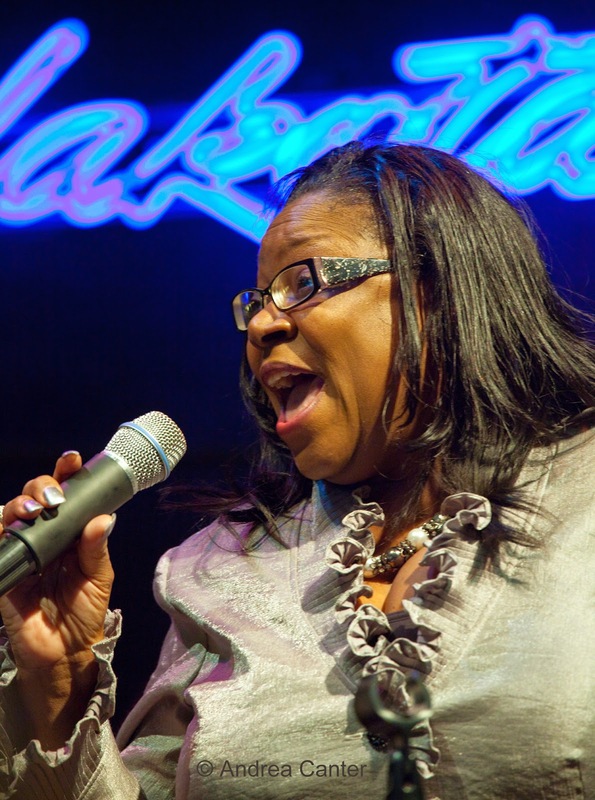 She has a six-octave range and can sing in “whistle register” like Minnie Riperton; studied voice, piano and violin in her youth and attended the Berklee College of Music; sang back up to Lou Rawls, Patti LaBelle, Vanessa Wiliams and George Duke. While her popularity has ebbed and flowed, she was largely beneath the jazz scene’s radar until recently. Dakota owner Lowell Pickett mentioned that there were no words to describe her. Maybe that’s true. Or maybe all words describe her. Thursday, May 28. The second of Kristin Sponcia's Jazz Central gigs in the past week (see Friday), tonight the spotlight is on her skills as a vocalist, with Phil Mattson handling the piano duties. 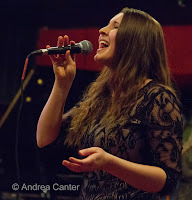 Which is only fitting as Kristin was a member of the Phil Mattson Singers when she was a Twin Cities resident.